Oceanview Terrace is not well-known, but it could be. A client and friend hired me to sell his condo at Oceanview Terrace. A nice two bedroom with a patio and a courtyard view. We got it ready for sale, and it really came out really nicely. As part of that process, I also got to know and love the development. 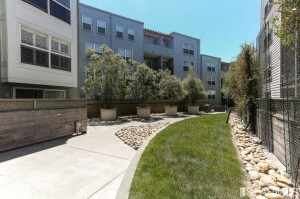 The development is convenient (a few blocks from BART), well-maintained and affordable. It really was a bargain at the bottom of the housing market, while the development was going through construction defect litigation-requiring cash buyers. That was the perfect time to snap up units if you could swing it. Now that the litigation is settled and the association is making their repairs, financing is available and people are less worried about when and if repairs will get made. That has raised prices, as has the current supply and demand problem. Like any larger development (this one has 370 units), there is always going to be turn over. Generally speaking, that lowers sales prices because there is almost always competition. More first time buyers in the marketplace needing access to public transportation has taken care of that competition problem. Nearly everything that has come up in that complex over the last few years has been snapped up, over asking with multiple offers. To give you a flavor, 2014 ended with a total of 23 condos being sold. 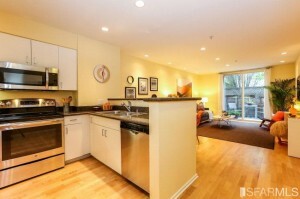 The price of two bedroom units we nt from $475,000 in March, to the last sale in December at $575,000! 1 Bedrooms ranged from $370,000 in March to $481,000 in December. The average price for all units sold in 2013 compared to 2014 increased 21.8%! Prices have remained very strong in 2015. And since it’s one of the last nice, affordable developments in SF, I see that being a selling point for a long time to come.